Still looking for the best car hire deal to Car rental Bergen? Then try our search form and enjoy the fastest and simplest way to get a desired car! Travel to Bergen car rental location and note Must Know and Places to Visit with car rental Bergen! 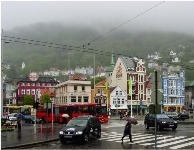 Bergen is located on the west coast of Norway. It is the second-largest city in Norway known as the city of seven mountains. The city is divided into 8 boroughs: Åsane, Arna, Fana, Ytrebygda, Fyllingsdalen, Laksevåg, Årstad and Bergenhus. Bergen is considered to be the international center for aquaculture, shipping, offshore petroleum industry and subsea technology. It is a national center for higher education, tourism and finance. While driving, drivers should have driving license, vehicle registration certificate, a warning triangle and a safety vest in the car. Drivers should use safety belts, including the back seat. Children must be secured separately in a child seat, according to the age and size. It is forbidden to use a handheld mobile phone while driving and a strict fine can be obtained. Remember that parking is forbidden closer than 5 meters to a crossroad, a pedestrian crossing or a railway crossing. 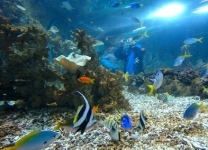 Bergen Aquarium is considered to have one of the largest collections of marine fauna in Europe. At the entrance you will see exotic seals and penguins playing in the large pools. Here you can find one of Europe’s biggest collections of fish and invertebrates from all parts of the world. The clean water is pumped up from depth of 130 meters from sea, that’s why here are a shoal of herring very unique. To entertain clients is shown a film about the mysterious and wonderful world below sea level with the help of 225 degrees super-video graph. The multimedia exhibitions with waterfalls and nesting cliffs can be found in car rental Bergen. The Bergen Art Museum consists of Stenersens Collection, the Rasmus Meyers Collection and Lysverket Collection. «Stenersens Collection» is the contemporary art collection with beautiful items from history of the 17th. «Rasmus Meyers Collection» has works from Norwegian art history from the 18th century to 1915. «Lysverket Art Collection» Norwegian and foreign art from the 1400′s until the 20th century. 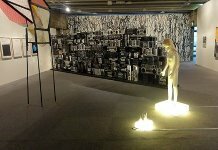 All the three museums are situated in the center of car rental Bergen. In the late Middle Ages the Hanseatic League established the German Kontor in Bryggen. It became a famous center of international trade. The special feature is parallel rows of buildings, with their seaward-facing gables represent a building tradition 900 years old. These wooden buildings along the harbor were placed on UNESCO’s World Heritage List in 1979. 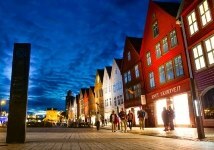 You can find the Hanseatic Bryggen next to the Fish Market with car rental Bergen. It is one of the most important renaissance monuments in Norway. 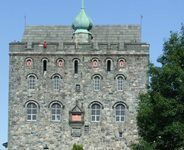 The tower was constructed in the 1560s by the governor of Bergen Castle Erik Rosenkrantz. Through the narrow and dark flights of stairs you can get to the roof, and watch at impressive views. Here you can find many old items of the ancient time. The beautiful architecture will amaze you from the first visit. 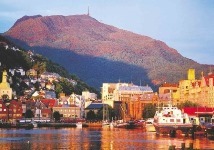 Do not miss this Tower with car rental Bergen. Damsgard in car rental Bergen was the luxurious countryside retreats, castle-like facade. The building was built in the 1770s for Minister of War Gyldenkrantz. There are interiors from the 18th and 19th centuries, the garden with authentic ornamental plants, vegetables, herbs, bushes, trees, statues and drinking fountains. Damsgard Manor is the most important place of Rococo architecture in Norway. It is the best preserved wooden building for the aristocracy in Europe from that period. RentalCars24h.com offers you reliable car rental Bergen services that will help you to feel free and independent when moving around the town. Providing best online prices for car hire Bergen services, RentalCars24h.com allows you to save money each time when you rent a car in Bergen.